Are you action-oriented and target young academics and professionals, graduate students at the post-coursework/research stage of your programs? The International Institute of Tropical Agriculture (IITA) is pleased to announce 30 research fellowships for 2019 under the framework of the CARE project. The IITA received a three-year research grant for “Enhancing Capacity to Apply Research Evidence (CARE) in policy for youth engagement in agribusiness and rural economic activities in Africa” funded by the International Fund for Agricultural Development (IFAD). The fellowship program seeks to contribute to policy development on youth engagement in agribusiness and rural economic activities in Africa. Awards for Research Grants are up to $10,000 (Proposals with a reasonable higher budget can also be selected depending on the quality of the research proposal). Grantees will be supervised by IITA’ssocio-economics scientists in close collaboration with their national/university supervisors. Grantees will be offered training on research methodology, data management, and scientific writing. Grantees will be offered training on production of research evidence for policy-making. To apply for the Research Fellowship, applicants must submit the following: Completed application form; Copy of the passport or another statement of citizenship. Curriculum Vitae (CV), which includes work history and education. CVs should be no longer than two pages. Proof of registration at an accredited university for MSc and Ph.D. programs (for students). Proof of employment at a research institute or university in Africa (for young academics and professionals). Research proposals should be organized in the order listed below, and page limitations for components must be observed. The Research proposal must include the following components in one PDF document. The proposal narrative should not be more than seven pages in length, single-spaced, in 12-point type with 1″ margins. Approximately three pages should be devoted to the problem statement/policy issue, theoretical framework, review of current literature, and research questions. The remaining four pages should include the methodology, contributions to policy, work plan, and dissemination plan. Applicants must present a clear and well thought out methodology and the analysis to be done. The brief dissemination plan should include the intended audience and relevant journals where the research findings might be submitted for publication and professional meetings where the findings might be presented (7 pages maximum). Budget. There is no specific template for the budget. It may be a simple 2-column format or a more complex spreadsheet. Applications must be submitted electronically in English or French, by email to IITA-TrainingUnit@cgiar.org. Application documents must be submitted as PDF files. The deadline for submission is 23:59 WAT, 15 March 2019. Marketing Strategy is one of the most crucial Aspects of Sales and Marketing. 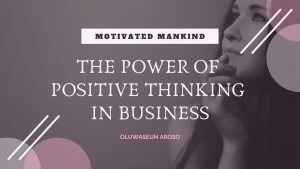 It will identify the different ways you can talk to your customers, and concentrate on the ones that will create most sales. 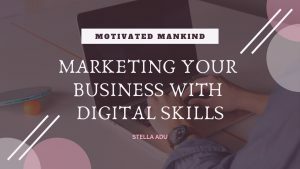 Marketing Strategy Professional defines a product or brand’s unique value proposition, target markets, and strategies to connect with defined audiences. 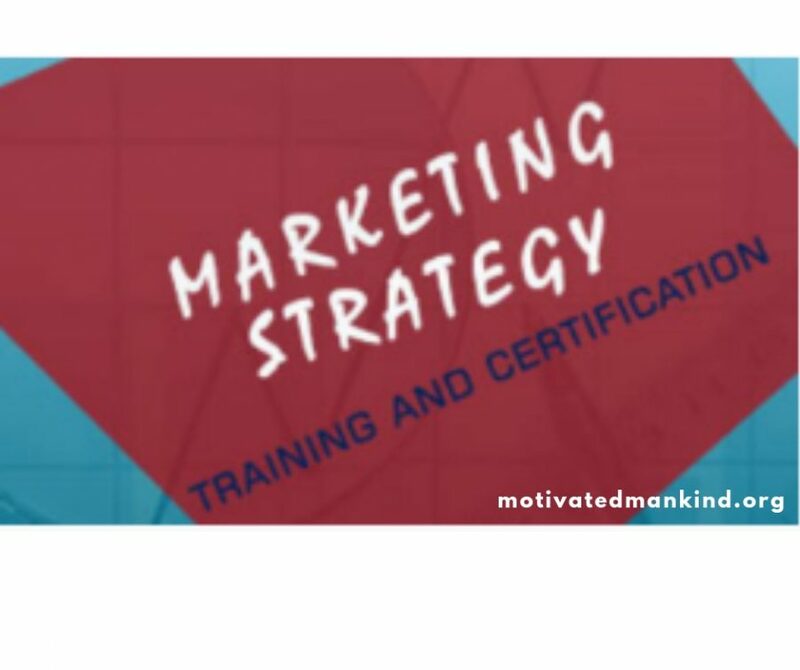 Audience Profile: This certification is appropriate for anyone who is interested in becoming a Marketing Strategy Professional. The scheme aims to create at least 774,000 empowerment opportunities through direct youth empowerment over a minimum period of two years. 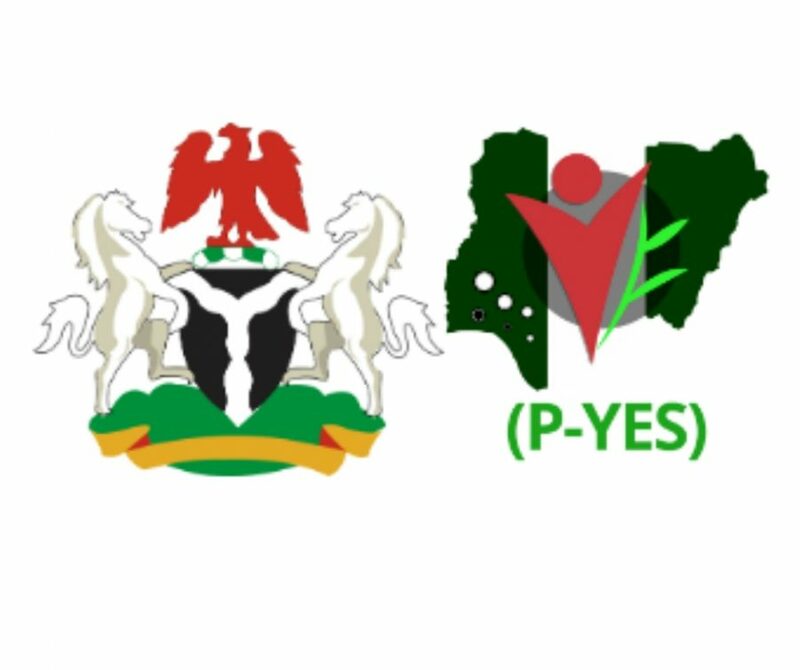 The P-YES scheme covers the “Youth” defined in the Nigerian National youth policy (2009) as male and female individuals whose ages are between 18 and 40 years old. 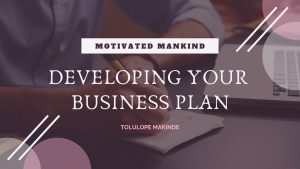 The scheme is designed to equip the youth with requisite skills, knowledge and resources that will make them productive; thereby reducing poverty and creating an economically empowered youth population that can contribute meaningfully to national growth. Be part of the first 100,000 applicants for the presidential Empowerment scheme. Note: The application is on going, and the registration deadline is unknown yet. 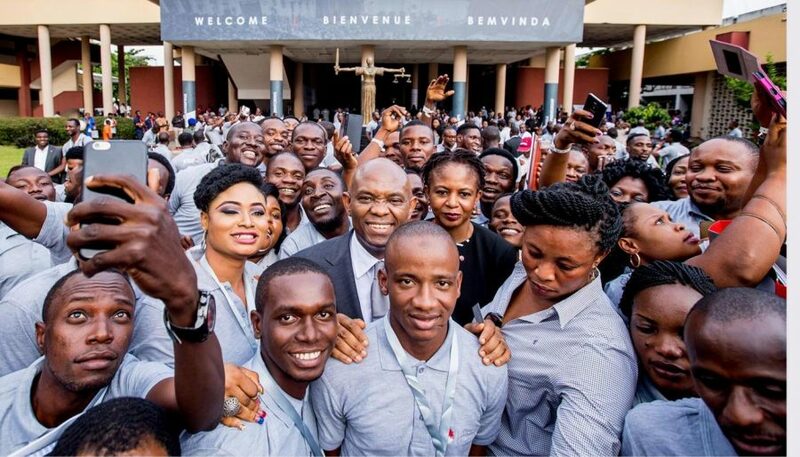 The Tony Elumelu Foundation (TEF) Entrepreneurship Programme is open to citizens and legal residents of all African countries, who run for-profit businesses based in Africa that are no older than three years. All Applications must be submitted ONLINE through the APPLICATION PORTAL. 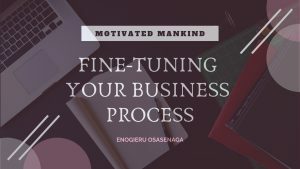 You must complete an application form by answering a series of mandatory questions and uploading additional documents and identification materials. After submission, you will receive a confirmation email of receipt within 1 working day. How is the Programme Selection Process? 1- How are selected applicants chosen to join the programme? 2- By what criteria are the applicants to be judged? 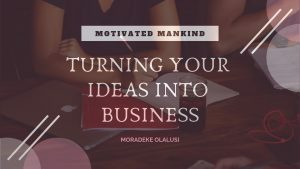 – Feasibility of the business idea. -provide a statement of current personal debts. -You scored low in one or more of the selection criteria. 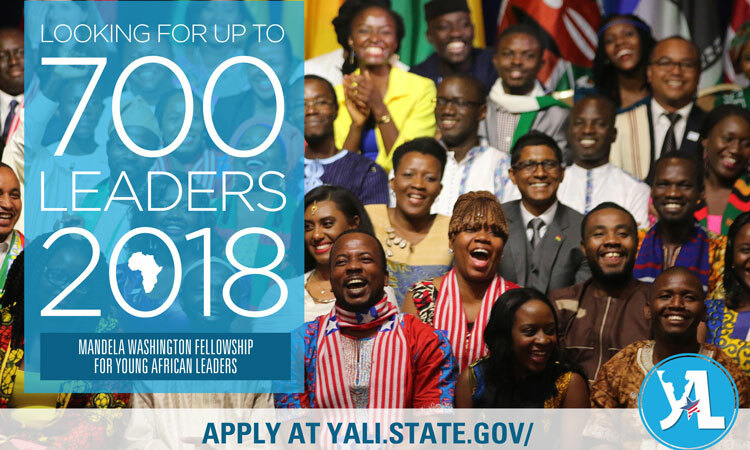 The Mandela Washington Fellowship for Young African Leaders, begun in 2014, is the flagship program of the Young African Leaders Initiative (YALI) that empowers young people through academic coursework, leadership training, and networking. In 2019, the Fellowship will provide 700 outstanding young leaders from Sub-Saharan Africa with the opportunity to hone their skills at a U.S. college or university with support for professional development after they return home.The Fellows, who are between the ages of 25 and 35, have established records of accomplishment in promoting innovation and positive impact in their organizations, institutions, communities, and countries. In 2018, Fellows represented a diverse group of leaders from 48 countries across Sub-Saharan Africa. Twenty-five Fellows identified as having a disability, and 51 percent of Fellows were women. Upon returning to their home countries, Fellows continue to build the skills they have developed during their time in the United States through support from U.S. embassies, four Regional Leadership Centers, the YALI Network, and customized programming from USAID, the Department of State, and affiliated partners. Through these experiences, select Mandela Washington Fellows have access to ongoing professional development opportunities, mentoring, networking and training, and support for their ideas, businesses, and organizations. Fellows may also apply for their American partners to travel to Africa to continue project-based collaboration through the Reciprocal Exchange Component. The 2019 Mandela Washington Fellowship application is open September 12-October 10, 2018! The Mandela Washington Fellowship is conducted as a merit-based open competition. After the deadline, all eligible applications will be reviewed by independent readers. Following this review, chosen semifinalists will be interviewed by the U.S. embassies or consulates in their home countries. If selected for an interview, applicants must provide a copy of their passport (if available) or other government-issued photo identification to verify eligibility. Are between the ages of 25 and 35 at the time of application submission, although exceptional applicants ages 21-24 will be considered. Are not U.S. citizens or permanent residents of the United States. 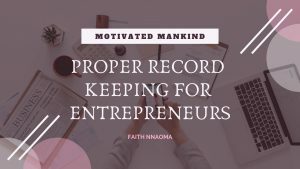 Are not employees or immediate family members of employees of the U.S. Government (including a U.S. Embassy or Consulate, USAID, and other U.S. Government entities). Are proficient in reading, writing, and speaking English. Applicants who are deaf should consult the Application Instructions for more information. A proven record of leadership and accomplishment in public service, business, or civic engagement. Demonstrated knowledge of, interest in, and professional experience in the preferred sector/track. 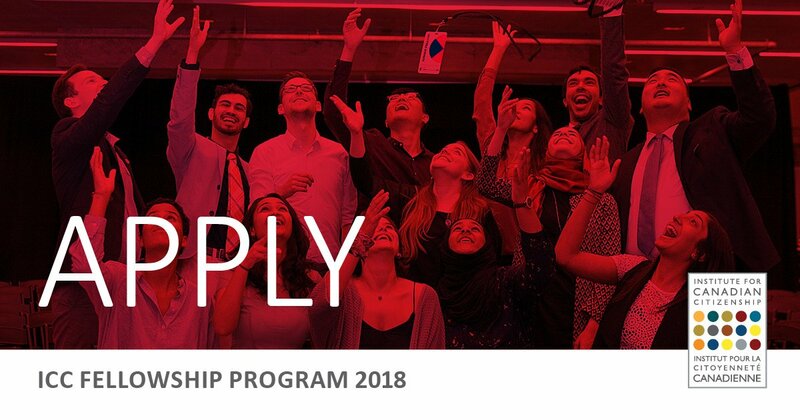 ICC Fellowship for Young Leaders ($CAD 4,000 & Funded to Toronto, Canada). The ICC Fellowship provides a special opportunity for young leaders from around the world to make a change in their own community through the creation and implementation of projects on inclusion and citizenship. Launched in 2016 as the 6 Degrees Junior Fellowship, we have welcomed 22 fellows from 11 different countries into the program. These outstanding young people were chosen based on their dedication to fostering inclusion and building citizenship in their respective communities. The newly renamed ICC Fellowship will run from September 2018 to May 2019. Select ICC Fellows will be invited to attend 6 Degrees Toronto in September 2019, based on their performance during the fellowship period. The ICC Fellowship program is designed to support young leaders and is therefore open only to individuals under the age of 30 (born on or after September 24, 1988). As part of our commitment to inclusion, the ICC encourages applicants from all races, ethnicities, national origins, religions, sexes, sexual orientations, gender expressions, and marital statuses. The ICC welcomes applicants working on inclusion and citizenship from all backgrounds and fields, including active community members, artists, academics, policymakers, educators, and corporate professionals. Serve as ICC ambassadors in championing inclusion and active citizenship. Submit a final summary report on their project, detailing the results and impact. The ICC Fellowship provides young leaders the opportunity to connect with a larger network of individuals who are working to foster inclusive societies and promote active citizenship globally. It provides them with resources and support to run a project in their own communities. Each ICC Fellow will receive a $4,000 (Canadian dollars) grant to support their project dedicated toward inclusion. Application Deadline: Monday, July 30, 2018 at 12:00 p.m. Eastern Daylight Time (UTC-04:00). 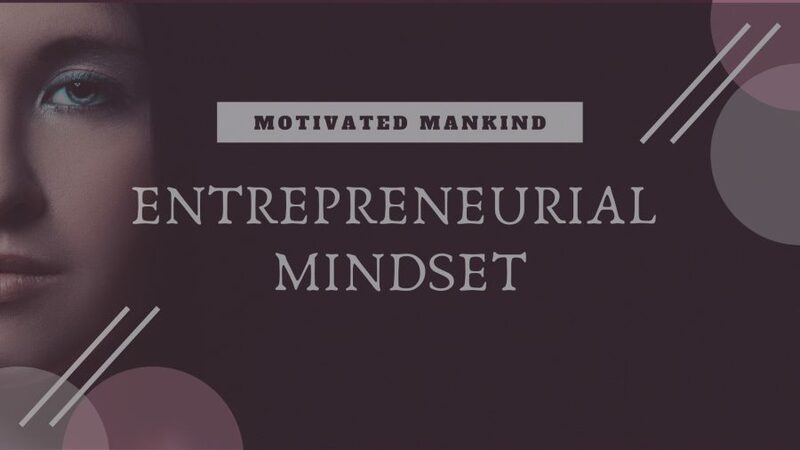 Massachusetts Institute of Technology – MIT Solve Global Challenges 2018 for Entrepreneurs. The “Solve” program at MIT announces four global challenges in 2018, inviting anyone in the world to propose solutions to them. 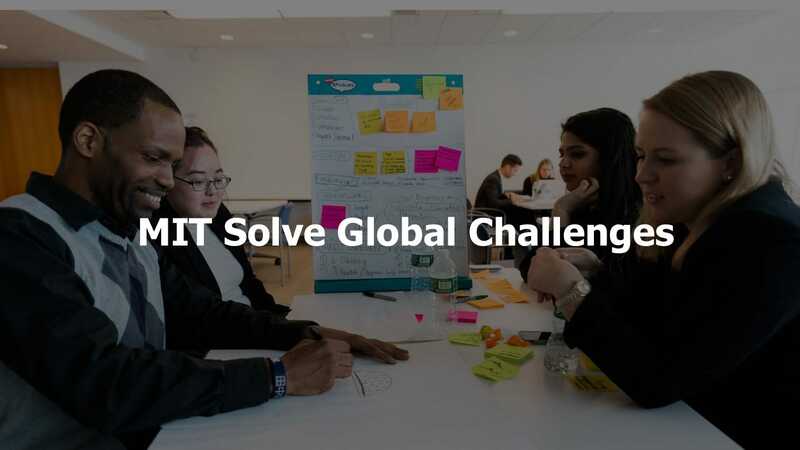 With the intention to help potential candidates financially to continue their studies Massachusetts Institute of Technology has introduced Solve Global Challenges 2018. Solve at MIT is a flagship annual event held on the MIT campus in Cambridge, MA, bringing together over 300 leaders from the tech industry, business, philanthropy, government, and civil society. Solvers and their solutions will be featured on stage, in online and written materials, and through dedicated challenge workshops. Work for the Future: How can those most affected by the technology-driven transformations of work create productive and prosperous livelihoods for themselves? Frontline of Health: How can communities invest in frontline health workers and services to improve their access to effective and affordable care? Teachers and Educators: How can teachers and educators provide accessible, personalized, and creative learning experiences for all? Coastal Communities: How can coastal communities mitigate and adapt to climate change while developing and prospering? Finalists will be invited to a live pitch event in New York during the U.N. General Assembly, where they select Solvers with the most promising solutions. The Solvers then gain access to Solve’s community. Match-making with Solve community members that can lead to partnerships to fund, pilot, and scale each solution. Funding commitments from our partners if available, as laid out on each challenge page. 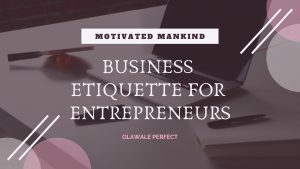 Mentorship and training opportunities to help you workshop and pitch your solution. Access to our flagship annual event Solve at MIT where Solvers and Solve community members come together. For more information, visit: MIT’s Solve Global Challenges. The Hello Tomorrow Global Challenge gives scientists and deeptech entrepreneurs around the globe a platform for their research and projects, providing equity-free prize money as well as other funding opportunities, global visibility and connections with key players in the deeptech innovation network. 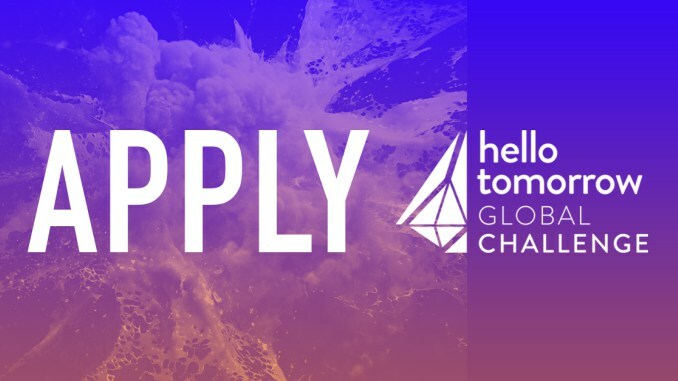 The Hello Tomorrow Global Challenge is a renowned global startup competition designed specifically to address the needs of deeptech entrepreneurs across several different industries and technologies. Your project is based on a scientific discovery,an advance technology,a complex engineering process or an innovative application of an existing technology. You are a team of at least 2 working on the project. Applications are open for the Cartier Women’s Initiative Awards, a unique opportunity for early-phase women entrepreneurs to take their companies to the next level. The Award is looking for committed female entrepreneurs heading initiatives with the potential to grow significantly in the years to come. 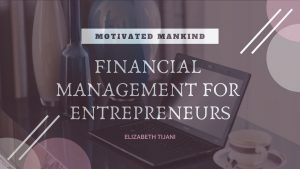 Women entrepreneurs in the initial stages of development, in any country, of any nationality and operating in any industry are welcome to submit their application. Women leadership & ownership: The main leadership position must be filled by a woman either in the capacity of Director, General Manager or CEO. She must also own significant stake within the company. The ownership of the business is evaluated based on the position of the candidate in relation to other stakeholders. 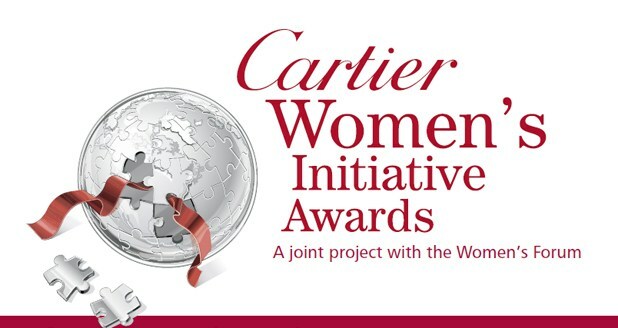 For more information, please visit Cartier Women’s Initiative Awards.